A DWI offense in New Hampshire is a serious crime. Even first time DWI convictions can result in jail time, hefty fines, and license suspensions. Further convictions can land defendants with ignition interlocks and lengthy license suspensions. However, these are just the consequences of a DWI conviction that results without any aggravating factors. Aggravating factors are certain circumstances that apply to a DWI charge that "aggravate" or elevate the punishments of the crime. When a DWI offender has aggravating circumstances that might apply, such as seriously injuring another person, they will face much greater consequences than they would if they were simply stopped at a checkpoint. Regular substance abuse disorder evaluations. The first will be 30 days following the release from jail, and completion of the evaluation will be 60 days following the release from jail. Any programs or service involved will be at the expense of the defendant. License suspension for a minimum of 18 months to a maximum of 2 years. Having a passenger in the car under the sage of 16 carries an automatic license loss of up to two years, if you are convicted. Aggravated DWI carries much harsher penalties than a simple DWI. All of the above factors can drastically change the sentencing that a defendant faces in the event of a conviction. For this reason it is of utmost importance to not only defend against the DWI charges, but also put up defenses against these aggravating factors as well. Sentencing also increases upon each individual DUI conviction. New Hampshire is an "Implied Consent" state. This means that by having a license, driving, or attempting to drive a vehicle on any road in the state, defendants have already consented to a test to determine their blood alcohol concentration level. Refusal to take a breath test, can result in a 180 day license suspension. On top of this, a defendant's refusal to take the test will be used in court against against them by the prosecutor to create the idea that the defendant had a guilty state of mind. 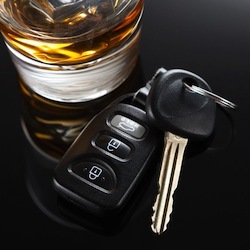 It is far better to take the test and fight the charges in court with a skilled and experienced DUI attorney. The simplest way to defend against aggravated DWI charges is to defend against the DWI itself. If a defendant cannot be found guilty of the DWI, then the aggravating factors will no longer hold any threat. However, every case is different, and at times, it may be necessary to defend against these aggravating circumstances. There are a number of possible defenses an attorney make use of when taking on an aggravated DWI case. If you are facing aggravated DWI charges, your attorney will know how to handle it. You may see your attorney employ one or more of these tactics to aid your defense. Disputing Test Results: A blood alcohol content test, especially one performed using a breathalyzer or other breath-testing apparatus is neither a judge nor a jury. Just because you tested over the legal limit does not mean you were impaired or that you are guilty of a DUI. In fact, it may not even mean anything at all. The law enforcement officials in charge of calibrating and administering them can make errors. Your attorney will be able to dispute the results of your breath test. Disputing Speed: Like blood alcohol content test methods, speed is not always a concrete concept. At times officers will simply judge a car's speed by eye. Other times, radar guns may be outdated or unmaintained, which can make its readings inaccurate. Disputing the speed of your vehicle can be used to take down the speed aggravating circumstance. Suppressing Evidence: At times, certain pieces of evidence in the prosecution's case will not be permitted due to a number of factors. The prosecution will not try to remove them from the court record, as they can be used against you, so it is up to your attorney to motion to suppress the evidence if it was not obtained properly. Things like statements uttered prior to being read your rights and even your blood alcohol content test results can be suppressed depending on the circumstances. This can strongly influence the outcome of the case. If you or a loved one is currently facing charges for a DWI or an aggravated DWI, you will want a skilled and experienced DWI attorney. Contact the team of Dui lawyers at Tenn And Tenn today to start building your defense.